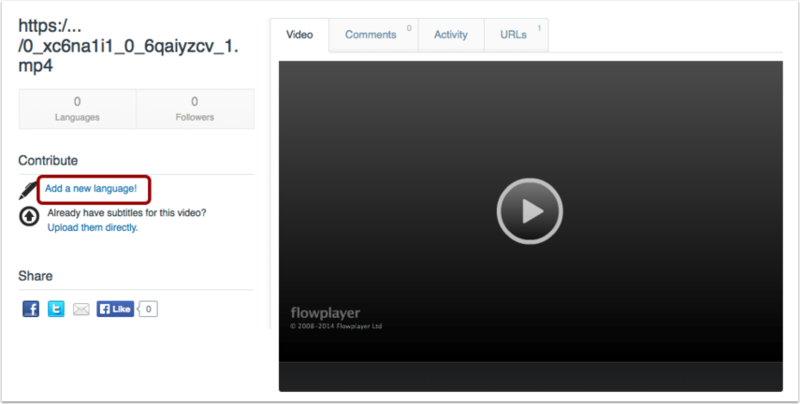 When you record a new video or upload an existing video in Canvas, you can upload a caption file for your users. If you do not have a caption file, you can use the subtitle creation tool to create the file for your video. Once you have created and downloaded your caption file, learn how to add captions to Canvas videos. Note: Canvas must render the video and create a URL link before you can create a caption file. If you try to add subtitles and the subtitle creation tool is not yet available, try accessing your video later. Copy the video URL , then click the Go to subtitle creation tool button . A new tab will open in your browser window. 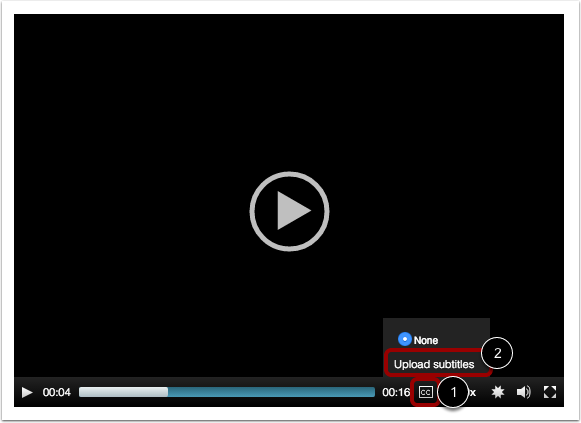 Paste your video URL in the Subtitle a Video field . Click the Begin button . In the drop-down menu, select the primary spoken language of your video . Then select the language for the subtitles . Click the Continue button . 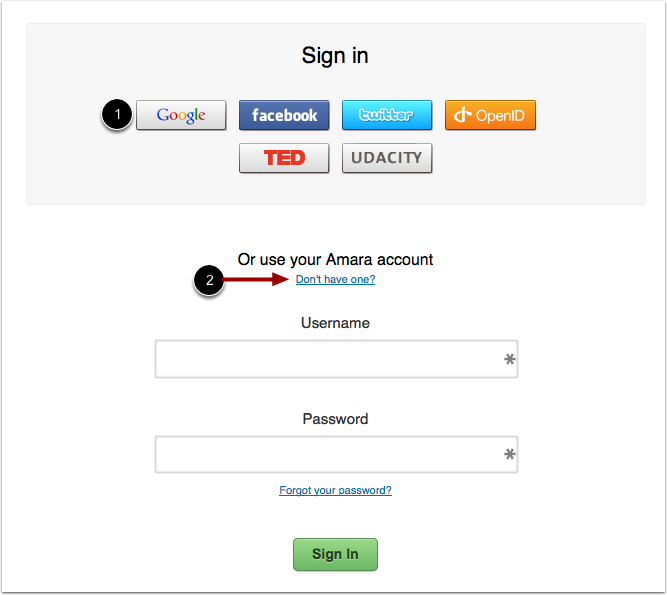 Choose a method to log in to Amara. You can use one of your existing social media services  or you can create a new account . Creating an account lets you save your video with the subtitles in case you want to change them or translate them into another language later. 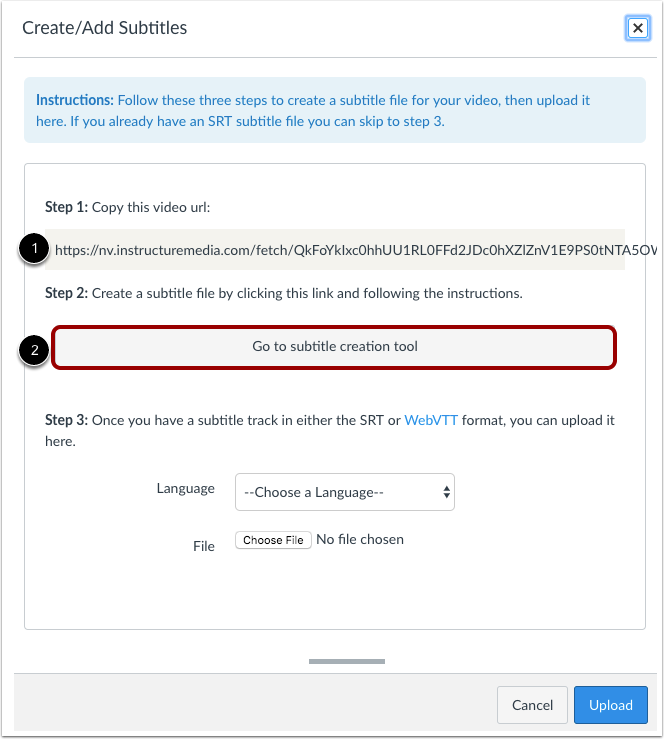 Create your subtitles for your video using the instructions in the video window . You can use keyboard controls to help you navigate through your video. To get more keyboard controls, click the more commands link . For general guidelines regarding subtitles, click the subtitling guidelines link . When you have made it through all three steps and are finished with your subtitles, click the Complete button. 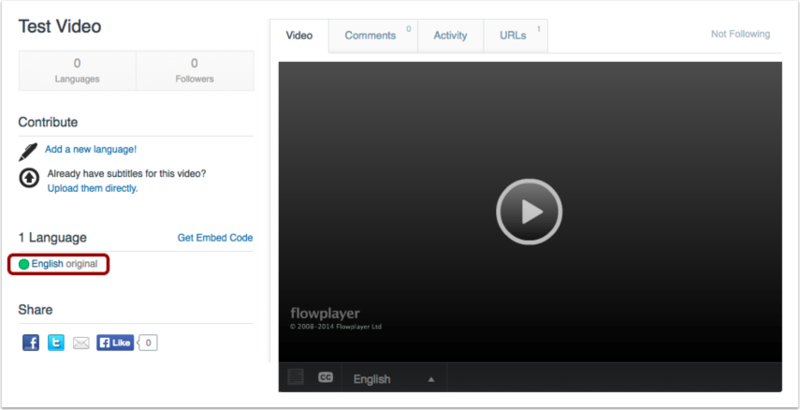 The caption file will save and redirect you back to the video dashboard. 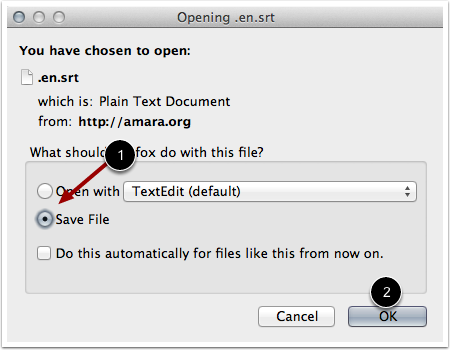 Under the Language heading, click the name of the language subtitle file you created. To edit your subtitles, click the Edit Subtitles link . 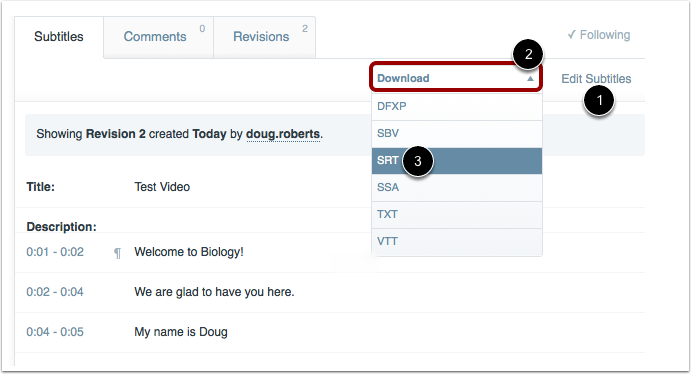 When you are ready to download your file, locate the Download drop-down menu  and select your preferred download format type . Note: Users can view video captions in the Canvas by Instructure mobile app. However, iOS devices can only display captions in WebVTT (.vtt) format. If you use another format besides WebVTT, users on iOS devices will not be able to display the video captions. Click the Save File radio button . Then click the OK button . Learn how to add captions to Canvas videos. Previous Topic:How do I add captions to new or uploaded videos in Canvas as a student? Next Topic:How do I view captions in a video as a student? Table of Contents > Rich Content Editor > How do I create a caption file using the subtitle creation tool as a student?